and it was used until 1455 by being converted into patriarchate by the Patriarch who decided to leave the church and monastery which remained in the hands of the Christians after the conquest to the Havariyun Church. 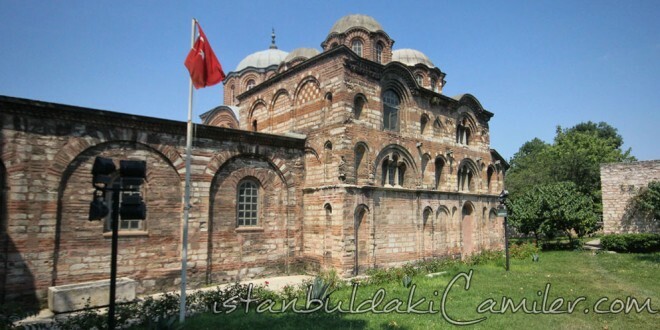 The heritage which was also visited by Mehmet II (The Conqueror) was converted into mosque with the name of “Fethiye” as an attribution to the conquest of Georgia and Adzerbaijan whic were captured by Murat III (1574-1595) in 1591. The mosque consists of five rooms from North to South and each room has trimmers and the unaesthetic columns they lean against. The mosque has no mahfel and the interior part is 550 m², and the area of garden and the close is 1200 m². The mosque which was restored by Abdulmecid I in 1845 was also restored in 1938-40 and during the last restoration exterior walls were cleaned of stucco and paint layers. There is a madrasah of Sinan Pasha the Grand Vizier of the period in the close of the mosque, and across that it is known that there is “Ali Mekteb” which was constructed upon the order of Maktul Kethuda Bey Mehmet Aga who was the Chamberlain of Foreign Affairs and son-in-law of Maktul Damat Ibrahim Pasha. The mosque which has a preacher imam and custodian muezzin also has an entailed estate.